While some people struggle with running, Nico Young runs the mile with a time of 4:14, an attribute he has worked on, tirelessly, over the years. Young has been running since he was five years old in youth track and field for the Camarillo Cosmos. 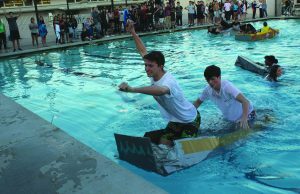 When he reached high school, and attended Newbury Park, he joined the cross country and track team his freshman year and has been improving ever since. 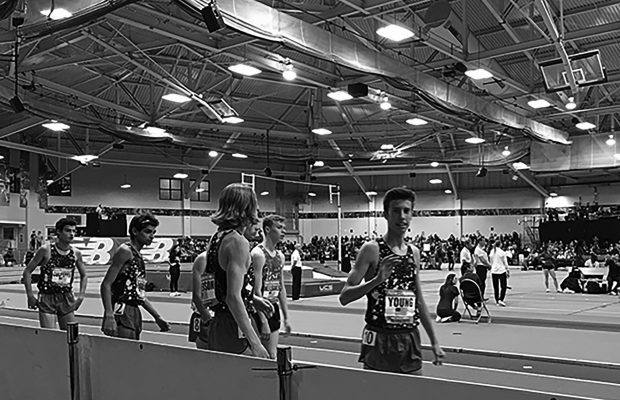 With the help of his coaches and fellow teammates, Young was able to be invited to compete at the New Balance Indoor Grand Prix, an indoor race, in Boston. This was Young’s first time ever racing on an indoor track and he could feel the difference in racing terrain. “The positioning is so hard on such a short track,” Young said. Even through Young’s struggles and naivete, he was still able to manage a time of 4:14, place 8th in the race and set a personal record for himself in the mile. 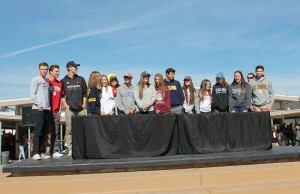 Sean Brosnan, the head coach of track and field and cross country, has guided and supported Young in every one of his moves. “I have been able to bring Nico to this level slowly and progress him in a manner that works best for Nico,” Brosnan said. Brosnan’s intentions are to never overwork his athletes and train them in a way that would maximize benefits with mitigating the harm of injury. Young and his team have extensive routines to further their benefits. “We run seven days a week. Two to three of those days being harder workouts, long run on Saturdays and recovery and training runs sprinkled in throughout the week,” Ethan Ronk, senior and team captain of the track team, said. Brosnan has been able to show his point as exemplified through Young. As a junior, Young has achieved many accomplishments and with the rest of this school year to come there is still a lot of time for him to make even more. Young has put his blood, sweat and tears in for running. Nonstop practicing, an extensive devotion and his peers are the main factors that have drove Young to reach the level he is at. 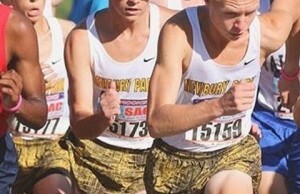 Not to mention, Young now carries the second fastest mile time in Newbury Park history. “I would definitely like to go back. They told my coach that they would like to see me again next year at all possible (events), and I’d definitely like to go. I think I learned a lot about indoor racing so next time I’m going to be able to do better,” Young said. Nico Young has recently placed fourth in Portland, what a nice result! There are a coupe of things to be improved in the future!